Ongwat is the NYC-based brainchild of jewellery designer Paranee Ongwat. Paranee gained her MA at the renowned Fashion Institute of Technology in New York where she pulled together an interesting mix of skills to focus her sights on producing interesting and intelligent jewellery. Launched in 2008, Ongwat offers bold collections of jewellery that combine the traditional use of precious materials with not-so-precious materials and the jeweller’s craft. Her collections also usually reflect her fascination for sculptural architectural form and a satirical irony, often drawing on found forms or images that we encounter in daily lift to realise them anew as striking pieces. For example, her current collection includes a Garland Necklace in which the traditional floral forms become transmuted into bronze architectural shapes resembling a child’s toy windmill that are attached to the weighty black rhodium-plated chain. But, Ongwat has just revealed its SS11 collection in which the humour of the Paranee Ongwat’s approach is even clearer, as is the striking impact of the architectural pieces. 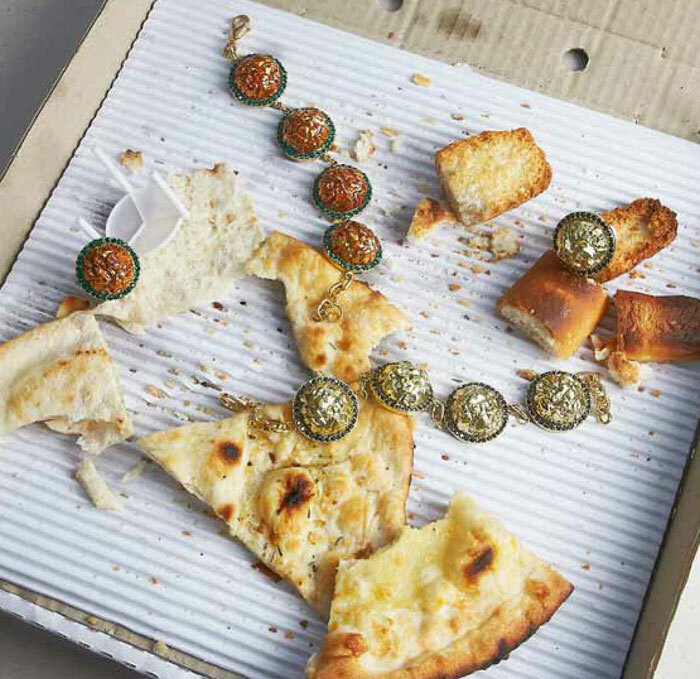 Casting an eye in the direction of today’s throwaway consumer culture, Paranee has constructed beautiful pieces that are drawn from everything from leftover pizza to discarded packaging. In Paranee Ongwat’s precise hands, the tossed aside detritus of daily life becomes the starting point for a collection in which even unconsumed cake or salad can metamorphose into a stunning silver necklace or oversized rings in matt-finished Tiger’s Eye and warm metals. Discarded bullet shells are turned into abstracted decorative forms in polished silver and what started out as something finished gains a new life. As her SS11 collection proves, recycling has never looked so elegant.